Rare country of origin “Coming Soon” Advance UK Quad for Martin Campbell’s hugely successful reinventing of the Bond franchise “Casino Royale” featuring Daniel Craig as 007 James Bond. 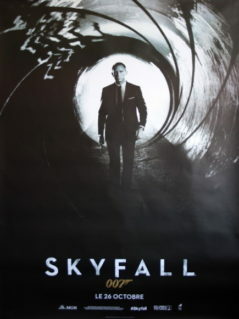 Designed by Vox & Associates these “Coming Soon” advance posters were the first time fans got a glimpse of the “new” Bond. 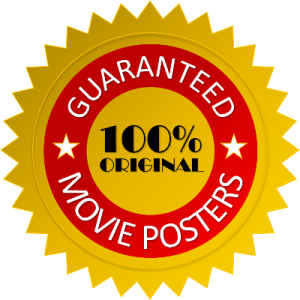 Quickly replaced by the “November 17” variant these early first examples had a very limited print run and are extremely scarce and sought after. Originally rolled with a high gloss finish this displays superbly…Simple, elegant, dark and stylish. 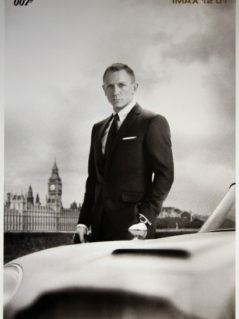 A foretaste of things to come…A perfect example of the effectiveness on how to use an advance poster and an impressive piece of highly collectable James Bond 007 movie memorabilia. I’m not a huge Bond fan, but I do enjoy them on a purely popcorn level and this was definitely one of the best in recent memory. The tone is much edgier and nastier than the Pierce Brosnan movies, harking back more to “Dr. No“ or “For Your Eyes Only“. 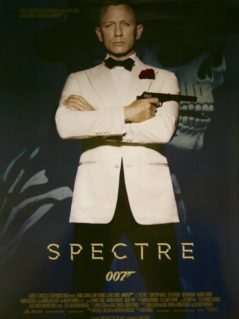 The action sequences are brilliantly shot and edited for maximum impact and are some of the best out of any Bond movie. 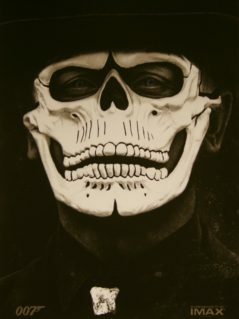 Martin Campbell, who also made “Goldeneye“, was an excellent choice and, for me, is one of the best Bond directors. What gives this the lead over recent Bonds is the more realistic feel: the exotic locales, fast cars, spectacular action, beautiful women and many other Bond hallmarks are all here. In this context, Daniel Craig gives an excellent performance as Bond. I’ll be the first to admit that I raised an eyebrow when I heard he was cast but he really makes it his own. It’s hard to say whether he’s better than any of the other Bonds: Sean Connery and Pierce Brosnan felt right for the style of Bond movies they were in. 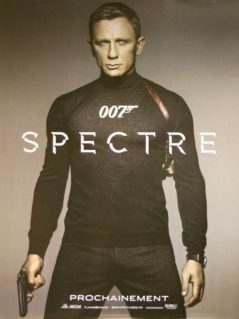 Here, as suits the overall tone of the film, Bond is much more of a sadist, a cold-hearted killer with very little sense of empathy and Craig, with his piercing eyes, suits the role very well. 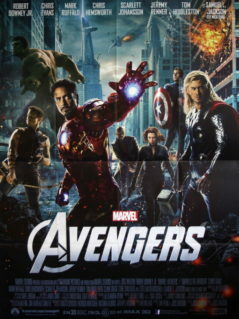 He’s charming and funny when required and totally convincing in the action sequences. The violence is less cartoon-like and flippant, too, with every punch, kick and shooting looking like they really hurt. Also, the story is just much more engaging than many a Bond film; the script’s not going to win awards but it’s consistently inventive and intriguing. Whilst the film has enough of it’s fair share of action, the emphasis is equally on character and storyline and less on gadgets and sheer implausibility. 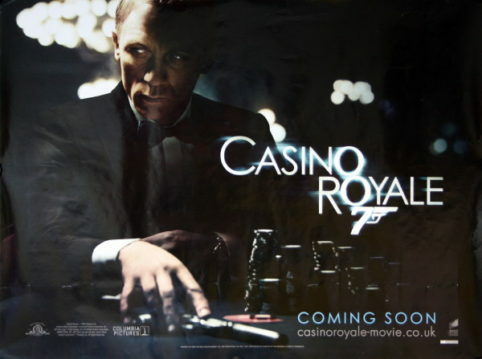 When there isn’t a huge action sequence happening, you don’t miss it: the film’s longest set-piece, the poker game at the Casino Royale, is as (or not more) gripping and entertaining than any of the chases and shoot-outs. The only minor gripes that I have are a slightly too long running time: the film drags a wee bit towards the end and, although it helps the tone of the film, we don’t hear enough of the Bond theme tune! However, great directing and performances from everyone involved, along with Phil Meheux‘s excellent cinematography, Peter Lamont‘s as ever superb production design and all the other top-notch craft and technical departments make “Casino Royale“ a classy and very enjoyable night out at the movies.